Every so often there’s a hair product that really impresses me. It doesn’t happen all that much, partly because I’m pretty fussy when it comes to what I put in my hair (limp locks that go greasy within seconds of touching them don’t tend to like many products…) so if something doesn’t cut it, I’ll simply get rid and not use it again. 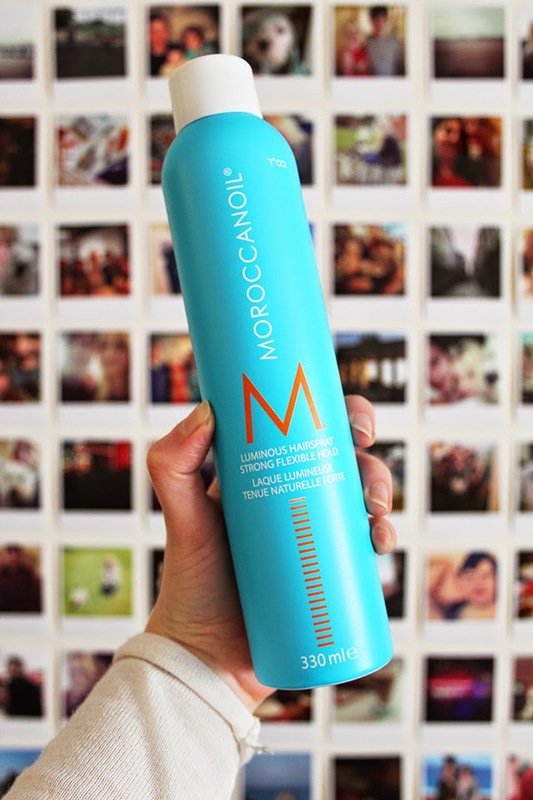 The Moroccan Oil Luminous Hairspray is one of those ‘few and far between’ products though, and has been taking centre stage on my dressing table since it landed on my doorstep last month. Back in the day when huge hair was the ‘in’ thing, I used to reach for what I think was every eighteen year old girl’s partner in crime – Fat Hair (hand up who used to use this!?). It came in a huge red bottle, or miniature if you wanted to keep topped up on those all important nights out, and was so strong that it would make my hair super crispy, and quite literally, fat. Fast forward six years and thankfully crispy locks are no longer a trend, but my lacklustre hair with zero bounce is still the same. 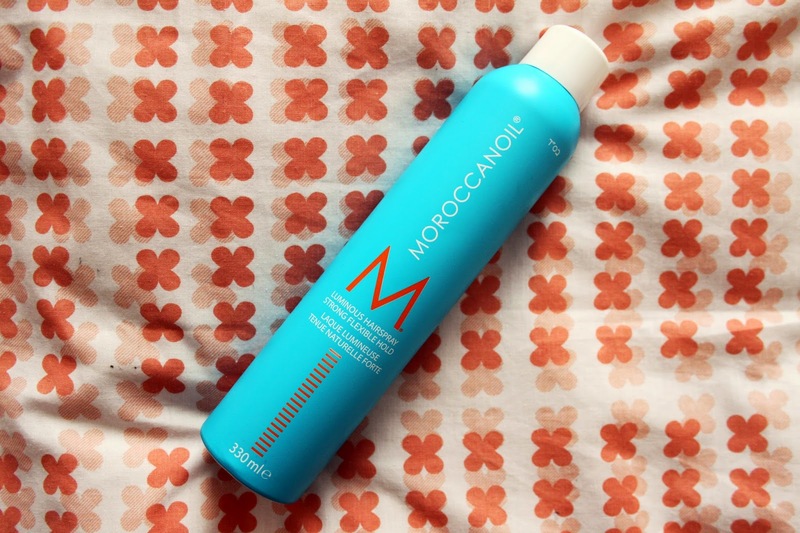 This is where Moroccan Oil save the day! Finally a hairspray that gives me hold, bounce and shine all in one, not to mention the signature scent that always manages to get me some nice compliments. 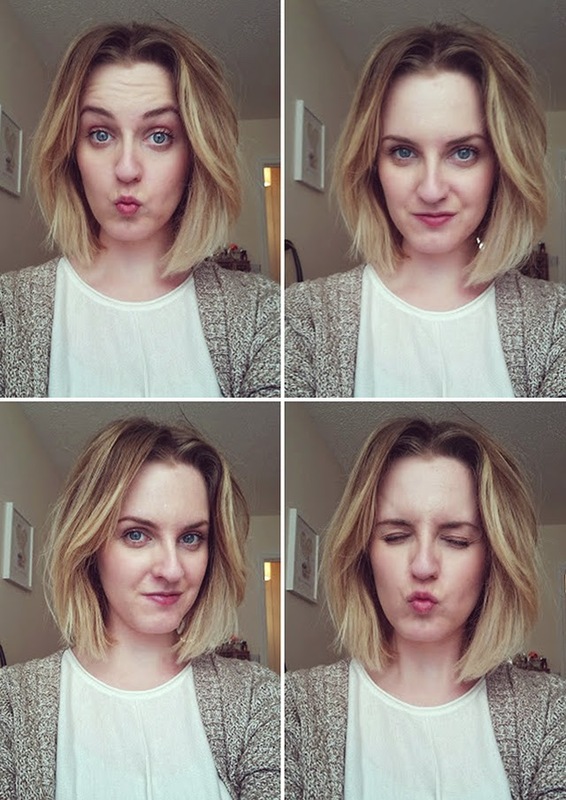 Now that I’ve had the chop and got a long(ish) bob, my hair needs a boost to make the style look at it’s best. I take the hairspray and spray some straight in to my hands (a tip I learnt from my hairdresser) then scrunch it right in to the roots from the underneath. This adds instant volume and texture at the roots, without leaving the hair sticky. I then spray sparingly on the hair that frames my face to keep it in place and set the style. Being the Moroccan Oil brand, this is on the pricey side at £17.25 a bottle, but you do get a lot of product for your money (330ml) and a little goes a long way. Like I said, I’ve had this since the end of March and used it pretty much every day, and there’s still plenty left to keep me going for a while yet. It’s something I probably will repurchase as it’s great on my fine hair. Those with thick hair may not see quite as much difference, and if you’re after serious hold then this probably isn’t for you! I’m loving the Moroccan Oil range at the moment. The Intense Hydrating Mask is another one of my hair favourites, which I reviewed here (I’ve had this a good 10 months and it’s still going strong)! 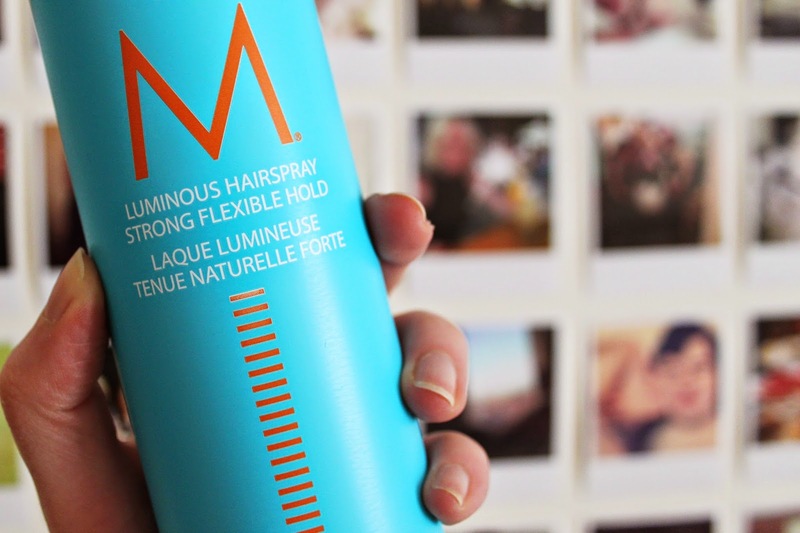 Have you tried this hairspray? What are your favourite products for fine, flat hair? "5 WAYS TO WEAR: THE SHIRT DRESS"